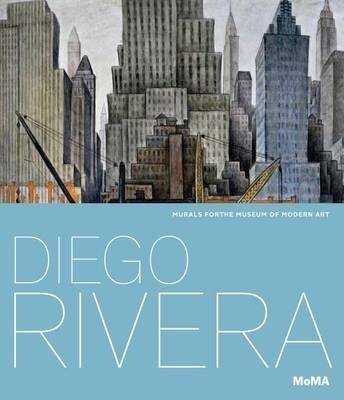 In 1931, Diego Rivera was the subject of The Museum of Modern Art's second monographic exhibition, which set new attendance records in its five-week run. The Museum brought Rivera to New York six weeks before the show's opening and gave him on-site studio space. There he produced five "portable murals" --large blocks of frescoed plaster, slaked lime and wood that feature bold images drawn from Mexican subject matter and address themes of revolution and class inequity. After the opening, to great publicity, Rivera added three more murals, now taking on New York subjects through monumental images of the urban working class and the city during the Great Depression. Published in conjunction with an exhibition that brings together key works made for Rivera's 1931 show, this catalogue casts the artist as a highly cosmopolitan figure who traveled between Russia, Mexico and the United States and examines the intersection of artmaking and radical politics in the 1930s. Illustrated with reproductions of each panel as well as related paintings, drawings, prints and documentary photographs, the book's essays investigate the international politics of muralism, Rivera's history with MoMA, the iconography of the portable murals and technical aspects of the artist's working process. Diego Rivera (1886-1957) was a central figure in the development of Mexican muralism, an ambitious public art initiative intended to relay Mexico's ideals after the Revolution (1910-1920). A highly cosmopolitan artist, Rivera had spent many years in Europe before returning to Mexico in 1921, and in 1927 he traveled to the Soviet Union where he met Alfred Barr, the soon-to-be founding director of The Museum of Modern Art, New York. Rivera's artistic celebrity benefitted from major commissions in the United States, including murals for the Pacific Stock Exchange, the California School of Fine Arts in San Francisco, MoMA and the Detroit Institute of Arts. By the 1930s, he enjoyed an unrivaled status at the center of international debates about public art and politics..